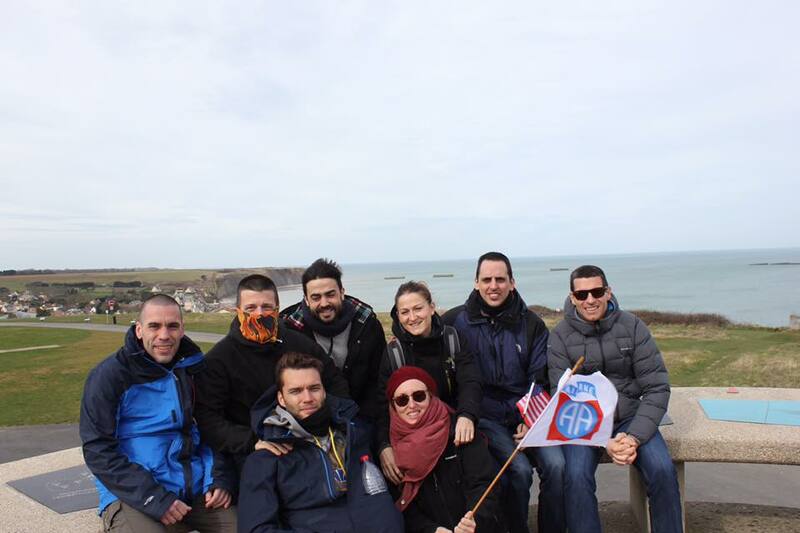 Ever since getting that life-changing email from General Patrick Collet in March 2016 I have been on a journey that has connected me with such amazing people, some of them Angelic. 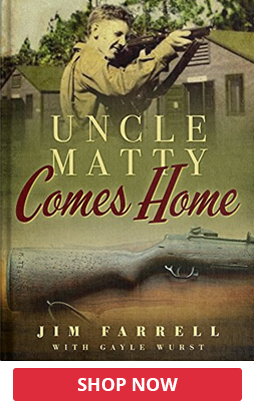 My journey began with the finding of my Uncle’s historic M-1 rifle, seeing it, feeling it, and led to me writing my book “Uncle Matty Comes Home.” During my journey, I have met our Army Chief of Staff General Milley, the Sergeant Major of the Army Dan Dailey, the French Chief of Staff General Bosser, and so many other people deeply committed to honoring and remembering our fallen heroes. I believe my journey will continue until my time is up, perhaps even after that. 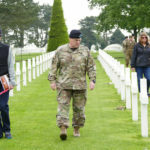 I have become so impressed with how Europeans honor and respect our veterans for what they did in WWII and other conflicts. 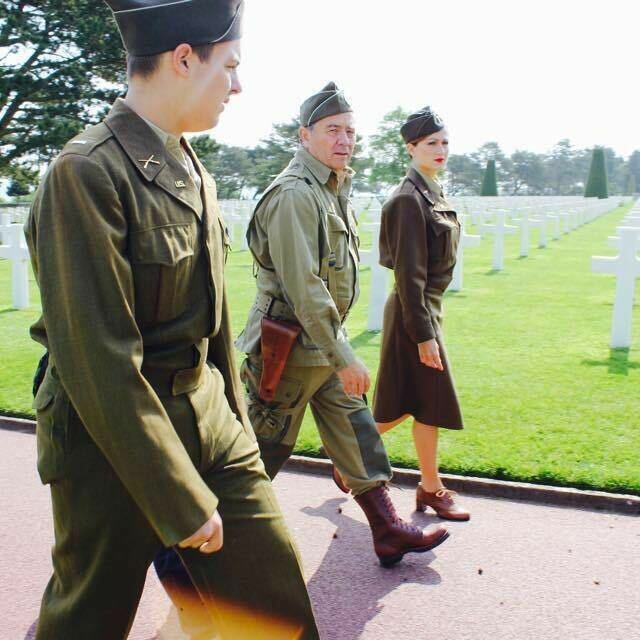 Many become re-enactors playing the role of soldiers from particular units. It is a way of keeping history alive, teaching our younger generation of the tremendous sacrifices made, and never forgetting our veterans. I have met many of them, and they are so passionate about what they do. 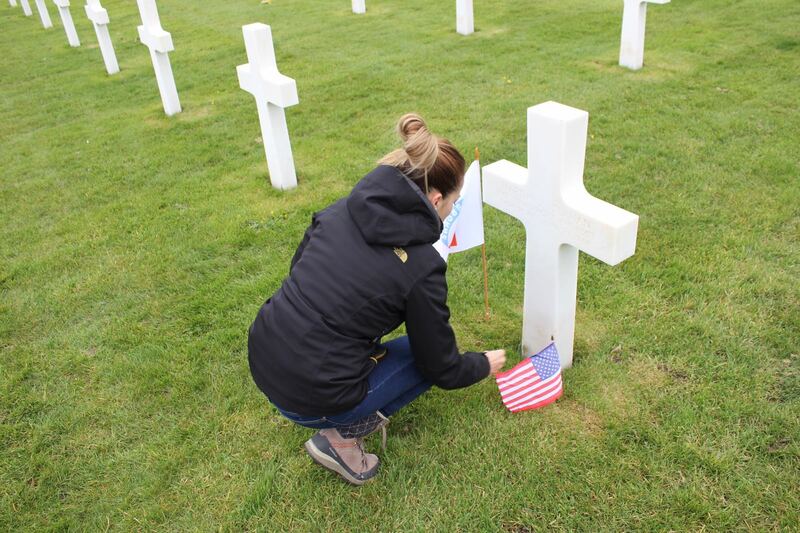 I only hope Americans continue to remember and honor our veterans with the same amount of passion. It fascinates me so much how I get connected with these incredible people. I am an addict on Social Media, including Facebook, Twitter, and Instagram and correspond with so many fans of Uncle Matty. On Instagram, I connected with a special person from Barcelona, Spain who was interested in Uncle Matty’s story. The words she wrote were “I was dying to know how the rifle had finally arrived home. I remember that while I was reading the overview and thinking how incredible his story was. I needed to know more! I wanted to discover how destiny had played its role in his story, and who was Uncle Matty.” Little did I know at this point a great friendship would develop between us. Her name is Nadia Martinez Carrera, and she would become Uncle Matty’s, Spanish Angel. Nadia ordered my book in January 2018 and we agreed to discuss it as she read it. She wanted to improve her English skills and to make sure she understood the stories told in my book. I admired this greatly. 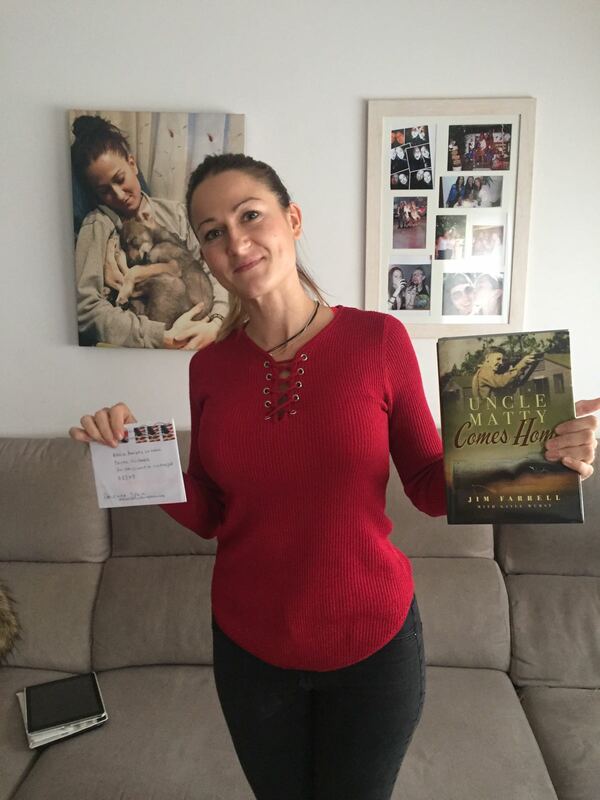 I would send Nadia a dedication to put in the book, and this is what she wrote about waiting for the book and dedication to arrive.” I was so curious and anxious waiting all week to receive your book, I began counting down the days. I knew you had sent the dedication by mail but did not know how long it would take to get here. For sure, I did not expect to receive it before your book. One day I arrived home from work, and to an amazing site. The mail had brought me not only your book but your dedication. Somehow, I think it was fitting to get both at the same time, it just made sense to me. They had to come together! Reading your dedication made your book more special to me, a coincidence they arrived together? I think not.” From this point on Nadia and I would communicate a few times a week, about the stories in the book, and her desire to have a personal connection to Uncle Matty. I did my best to help her learn English a little better, the task seemed easy to me, perhaps it was her dedication to understand Uncle Matty’s story more, whatever it was her English skills improved dramatically. 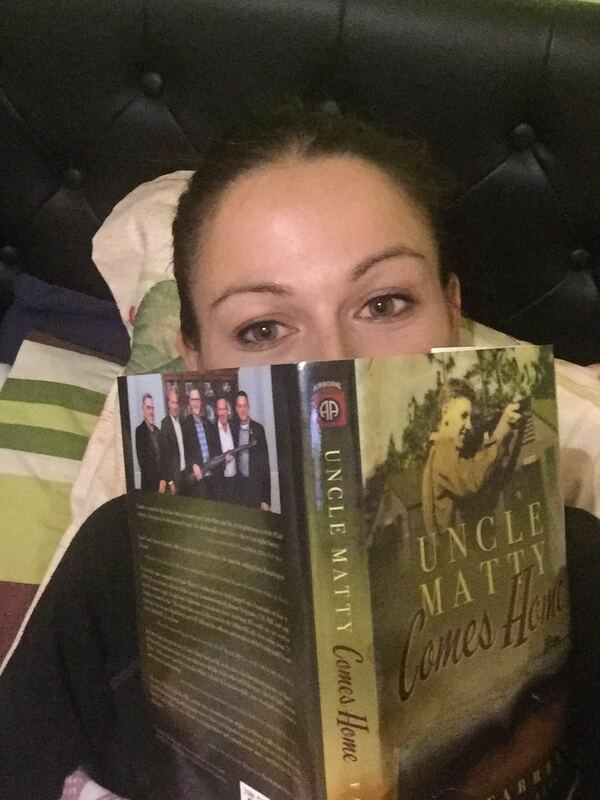 Nadia understood Uncle Matty’s story and its importance. 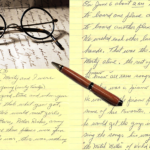 Since the very first day, we enjoyed our correspondence about my Uncle Matty. We would go on to learn about our cultures, life, veterans, and many other topics. 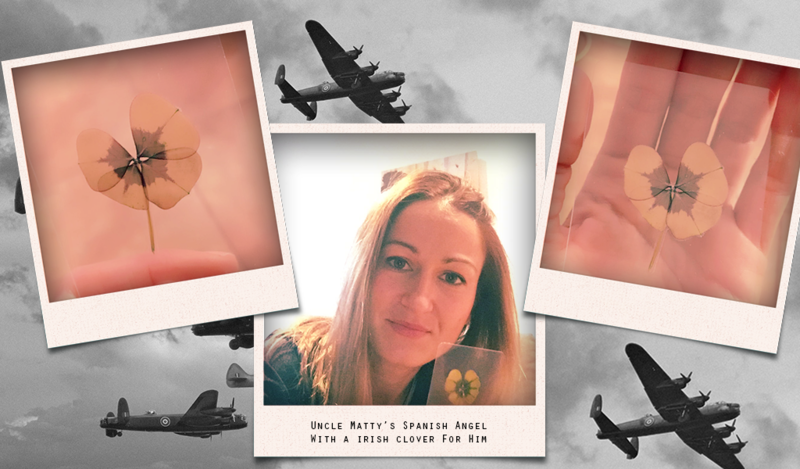 It became clear to me that Nadia was not only Uncle Matty’s Spanish Angel, but now the Spanish Angel to his family. ” Today I feel I have known your uncle. 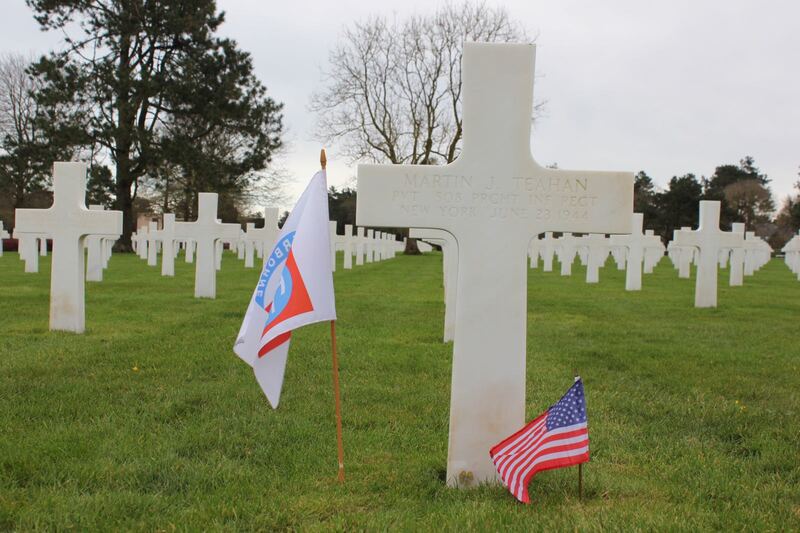 Normandy American Cemetery has always been a very special place for me. Visting alone with Uncle Matty is The Moment I have been waiting for since we first met. I put an Irish Clover on the grass next to Uncle Matty. I remembered your words of how important and significant the Irish Clover was to your family, I hope it brought him a smile. I bought the USA and an 82nd Airborne Flag for him. I asked my friends to let be left alone for a moment. I thought of this moment for months and now it was upon me. This spiritual moment is somewhat unexpected for me. I had this feeling that I should not, could not leave Uncle Matty’s grave. I imagined Uncle Matty could hear my thoughts, I just know how special he is for his family, and all the people his story has touched. I have looked around at the graves next to him and I realized how many stories like him there are in that cemetery. The words I said to your Uncle on this day came naturally, but I was so nervous saying them. 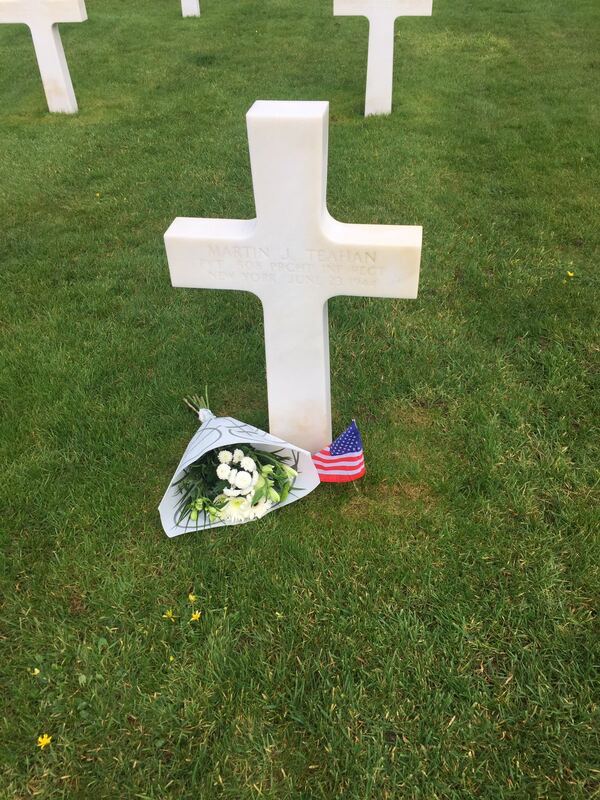 My vow to you and your family is to visit him every time I visit Normandy. I have thought of his brother Jimmy opening the door to receive the terrible news about uncle Matty’s death, of your mother looking at him walking down the block knowing he would never come back. I know Uncle Matty has influenced your life, and part of who you are today is because of him. I am sure some way you are Jim, as we know you today, thanks to him, so Uncle Matty is even more special to me. As I walked away to the exit, I needed to look back, I saw both flags waving, perfectly tight, with no wrinkles. I understood that as a “thanks for coming, and see you soon” It was hard for me to leave. 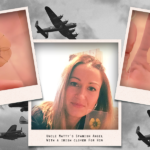 Uncle Matty’s Spanish Angel Nadia and her husband Alan will meet Monica and me for the first time at the Family & Friends of the 508th PIR Association reunion in October 2018. We are both counting down the days.